Alonso called time on his F1 career last November having endured another disappointing season with also-rans McLaren. And he is now pursuing his goal of claiming motorsport’s Triple Crown, with just Indianapolis 500 glory needed to complete the set. Fernando Alonso set tongues wagging, though, by visiting McLaren’s F1 headquarters in Woking over the weekend. The 37-year-old posted pictures from the team’s Surrey base on Instagram, including one of his car from last season. And that came as he was tipped to drive for McLaren in pre-season testing in Catalonia later this month. Alonso’s input could have a big influence on the way McLaren set up their 2019 car for Carlos Sainz and Lando Norris. However, De Ferran admits McLaren are none the wiser about the two-time F1 champion potentially getting involved in testing. “We do not know yet, we’ll see,” De Ferran told Spanish newspaper AS, when asked if Alonso is set to help his team. De Ferran did, however, hail Alonso following his recent victory at the 24 Hours of Daytona race. 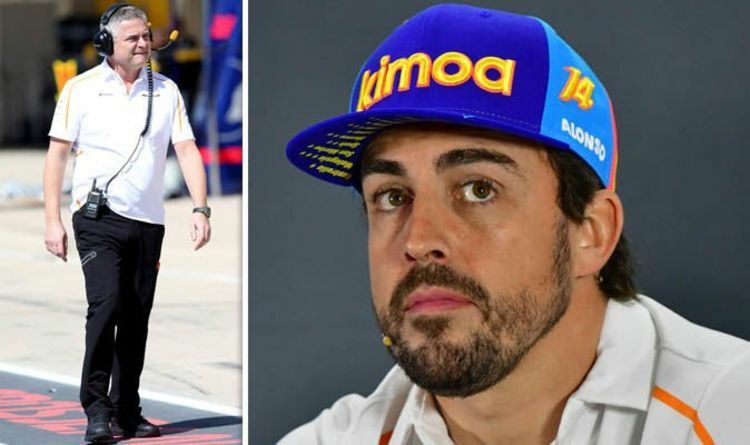 “It will always, always be in his mind because he’ll be looking at Formula 1, and he’s still at the top of his game, that’s the sad thing, and he’ll be thinking, ‘I could have beaten him, I could have beaten him’,” Jardine exclusively told Express Sport, when asked if retiring will weigh on Alonso’s conscience. “But he just needed a decent car, but wrong place, wrong time, wrong managerial decisions. “Those decisions go back to when he’s in a plumb drive at McLaren. “He throws his toys out of the pram in 2007 because he thinks Hamilton is getting the better treatment and he decides to leave. “That’s him and his manager, [Flavio] Briatore, and he goes back to Renault. “Renault were already on a downward slope, so he spent two years in the back water then. What a curious, stupid decision. “Okay, gets into Ferrari, nearly, nearly [wins] but all those years of being the bridesmaid are very frustrating. “He showed his incredible talent because the Ferrari wasn’t a great car but yeah, he could win with it.